Friend, YOU have done it- Thank YOU! Our construction team has arrived in full work gear. Last Monday the team began the profiling, and in two days they completed the profiling of a SOLID ROCK foundation. This morning, all is marked to precision. About 20 strong young men are in the hole, engaged in the labor-intensive task of digging. Truly, our faithful Lord has blessed us with adequate manpower! Friend, would you please consider a generous gift in any amount to CLTI to cover the cost of the foundation? God has been faithful in providing for this project, however, we are still underfunded. The foundation task brings a reminder of what our Lord Jesus taught about a wise and foolish builders. Therefore, everyone who hears these words of mine and puts them into practice is like a wise man who built his house on the rock. The rain descended, the floods came, and the winds blew and beat on the house; and it did not fall. The Second, a foolish man, built his house on the sand. The rain descended, the floods came, and the winds blew and beat on the house; and it fell. And great was its fall (Matthew 7:24-27). Building on the “rock” means being a hearing and responding follower of Christ, and not a phony or a superficial one. In this way, we can weather the storms of life at all times. charged with the responsibility to guide the building contractor and ensure that the building design is followed “to the letter.” Andy was one of the six interns we invited to join our EMI team in February. He will graduate in December from the University of Liberia with a major in civil engineering. Second, Professor Charles Carpenter is our consultant structural engineer. Professor Carpenter is a structural engineering professor at the University of Liberia. Third, Jonas Afriye is our construction engineer from Ghana. Then there is the rest of us: support staff and more than 20 daily helpers and workers. This school will serve thousands of young Liberians. Most will be the first generation in their families to enter high school or have any formal education. Some will be first generation Christians. They did not grow up in church, but will hear the true gospel for the first time. Thousands will be transformed by Christ. Many will become leaders of churches, in the nation of Liberia and beyond. Year after year the same thing will happen—- and the next year, and the next year after that! But it will not stop there. God has made a way for YOU to help bring them to Christ. 100 percent of our ministry work happens because God moves in the hearts of His people…… and they obey by giving generously. To complete the foundation work and begin raising the first floor uninterrupted, CLTI must receive your generous gift. God is fulfilling the Great Commission! If you are a follower of Jesus Christ, He IS calling you to be part of it. Please obey His marching orders. 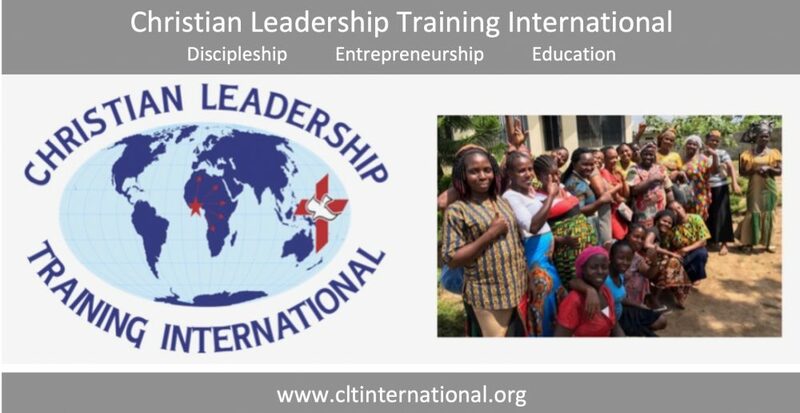 Because our need is urgent, I ask you to send a very generous donation to Christian Leadership Training International today. We are under instruction to dig the foundation five feet. Thereafter, 127 reinforced concrete footings will be poured as part of the foundation for supporting the building. Each footing requires 3 bags of cement; 5 pieces of 5/8 inch rebar; 2 pieces of 3/8 inch steel bar, plus the cost of labor. Would you please make a generous contribution online or write a check to CLTI? Your gift will help provide a place where thousands of young Liberians can receive an education in the years to come. This is the gift will keep giving and will outlive us all.